Tuxedo Chamber of Commerce: Farmers Market Open Tomorrow! Come On Down! Farmers Market Open Tomorrow! Come On Down! Come join us this Saturday at the Tuxedo Farmers Market for fresh autumn items, live music, yoga and more! Cornucopia Concept Caterers will offer Lobster Bisque Mac & Cheese, Chicken Primavera and Center Cut Pulled Port as part of their menu this week. 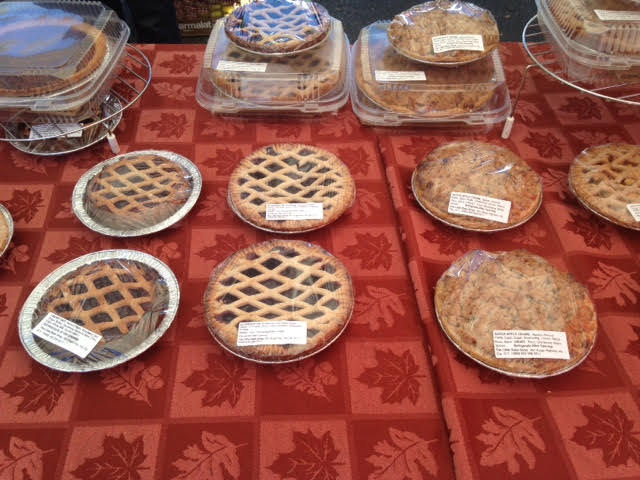 The Little Bake Shop will be adding Linzer Torte Pies and Pumpkin Pies. will be adding Sweet Potato Poppers and Cheesy Broccoli Bread. Are now carrying a variety of fresh homemade soups. we will have a free Yoga demonstration, courtesy of Liz Manko (of Synergy Salon). Starting at 9am, this one hour class will feature a wake up stretch, movement for your day and a restorative break at the end. Please bring your mat. Candles, Soaps and so much more! Note: we now have additional parking by the Tuxedo commuter train lot (as you head north, go past the market, make your next right turn and head over the train tracks. Make your first left turn into the lot).